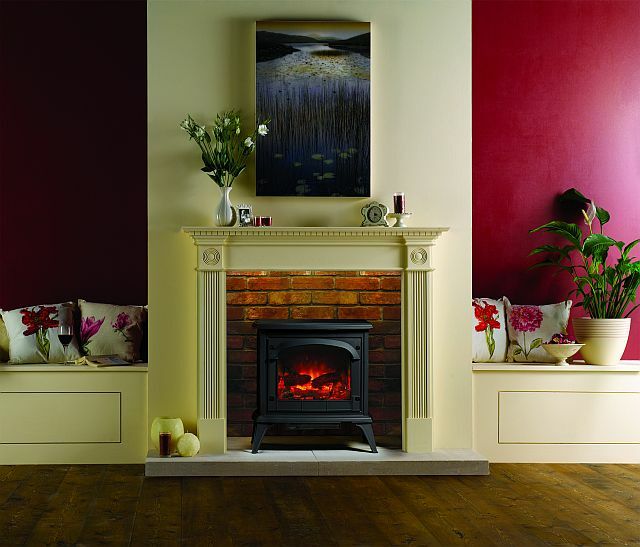 Authentic styling and elegant castings give Clarendon all the character of a real stove but with the convenience of electricity. 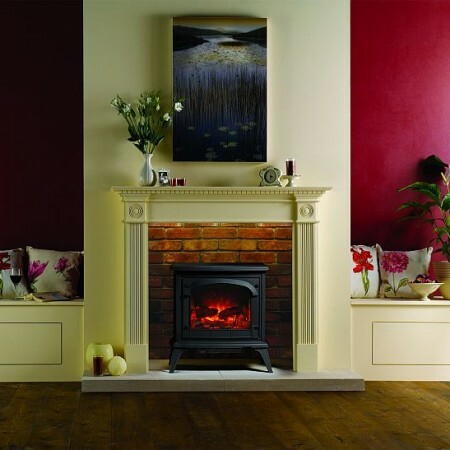 Simply plug in and switch on for Gazco’s highly realistic log effect fire, complete with your choice of three different brightness levels, including the additional option for a blue flame effect on the high setting, and two heat settings that can both be thermostatically controlled. Soothing comfort and instant controllable warmth. 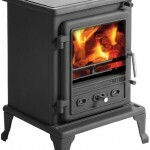 The heater is discreetly located under the stove but, as all the functions on this electric stove can be operated from the remote control, there is no stooping or crouching. 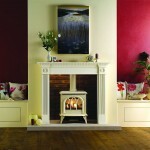 You can alter the VeriFlame™ effect or adjust the heat output whilst relaxing in your favourite chair! Operation is simple. 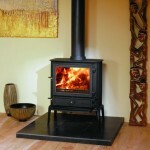 The remote control of the Clarendon electric stove allows easy adjustment of heat between 1kW and 2kW. You can even enjoy the flames without heat. 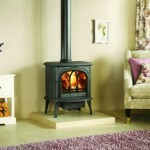 Stove colour choices: Matt Black, Matt Ivory (Small Clarendon electric stove only), Laurel Green & Midnight Blue.